Dr.Wu Qingkai was from Henan, since graduated from Henan Medical University in 1982, he has been devoting himself into oncology for 30 years holding his dream to heal the wounded and rescue the dying. Though encountering many difficulties these years, he went through them again and again in order to be able to apply medical knowledge to help patients and relieve their pain. 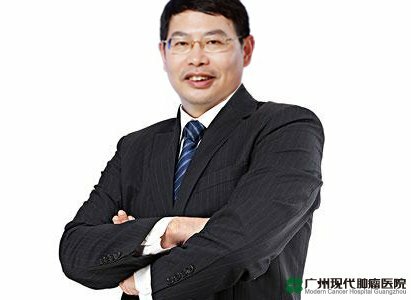 Besides, in his spare time Dr.Wu likes reading medical books, browsing the latest medical information to gain more knowledge, and also due to the eagerness to help more patients, he chose to go abroad. Meeting the need of development of the hospital, Dr. Wu was sent to be the chief specialist of Phnom Penh office in Cambodia. Though feeling deeply surprised with this assignment, he did not hesitate but making his decision to go there, because medicine has no boundaries, Dr. Wu believes it is not only a very glorious job to help more cancer patients overseas but also is his opportunity to make his dream to heal the wounded and rescue the dying come true. When firstly went to Phnom Penh, Dr. Wu encountered a lot of difficulties, such as different customs, habits, eating habits and language barriers, all which became a blow for him, but in order to help more patients, he was trying to blend in and with time went by, he slowly made it and fell in love with this country and the simple and honest people there. Recalling the first patient visiting Phnom Penh who was suffered from breast cancer, due to lack of cancer knowledge she did not get timely treatment, resulting in its deterioration and even threatening her life, Dr. Wu felt so bad for her and realized the importance to let more people know cancer. Dr. Wu also encountered very negative patients and strongly emotional families, at this time, he needs to think himself as a patient, answering all their questions with patience, caring patients and honestly telling the condition and prognosis to encourage patients to cooperate positively for treatment and alleviate their worries so as to set up the confidence and determination to fight against cancer. As a doctor, Dr. Wu thinks it needs many aspects of knowledge including clinical medicine, psychology, sociology, etc and also needs patience, sympathy to know every patient’s condition and care their change in mind. With 30 years of clinical experience, Dr. Wu is skillful at diagnosis and treatment for various tumors, especially making great achievements on comprehensive treatment on middle and advanced stage of lung cancer, esophagus cancer, liver cancer and Uterine Cancer, etc. Dr. Wu said before he went to medical school, once heard “cancer”, he was very frightened, because cancer was a symbol of death in 1960s and 1970s and the treatment only included surgery, simple chemotherapy and radiotherapy, so many cancer patients had been in advanced stage when cancer was found, only palliative treatment can be performed but its effect was not good, causing lots of patients’ death. Nowadays, with the development of science and technology, some cancers have not been incurable and the therapeutic effects for early stage of the cancers are very good. Therefore, Dr. Wu points out a healthy lifestyle can minimize the incidence of cancer and cancer can be prevented and treated, advanced cancer patients should undergo treatment with positive mind, be brave and optimistic to face this disease, trying to improve the quality of life.